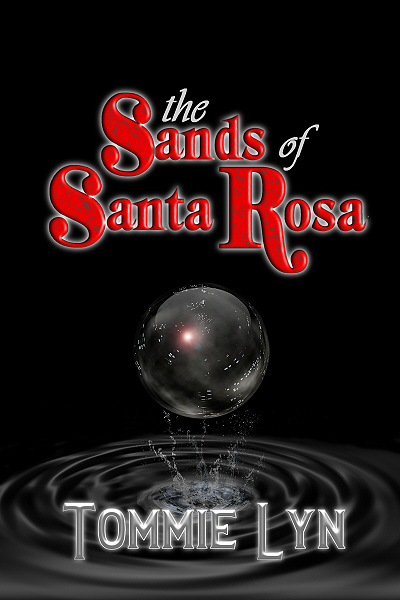 …about The Sands of Santa Rosa. Last year when I attended the Pierre Chastain Family Association Reunion in Dalton, Georgia (my hometown), several of my Chastain relatives I met there asked why none of my books featured a Chastain character. I decided that the main character of my next novel would be a Chastain. And in October, with the oil spill in the Gulf of Mexico being a main topic of conversation here on the Gulf Coast, a cousin’s husband off-handedly said I should write a novel about an oil spill. Ok, I thought. I’ll do that. NaNoWriMo was looming, and I already had a character (Tilmon Lamont “Cotton” Chastain) and a setting/situation (oil spill in the Gulf). Now I needed a title. Folks around here have told me they like reading the stories that are set in our local area, and On Berryhill Road is my best seller at festivals and book signings. So, I wanted a title that would anchor the story here. Since Santa Rosa Island is our barrier island fronting the Gulf, I thought it would be nice to use “Santa Rosa” as part of the title, and since the beach sands are impacted by things like oil spills, the title became The Sands of Santa Rosa. All cut and dried and ready to go, right? Um, not so fast. As usually happens when I write, what happens in my stories surprises me more than my readers. And this story was no exception. I had a character, I had a setting/situation, and I had a title that I THOUGHT I knew the meaning of. But I was wrong. The little girl’s name? Sara Sands. This entry was posted in character, Chastain, novel writing, oil spill by TommieLyn. Bookmark the permalink. Thanks, Lynn. And I wish Mama could have heard someone say I was fast at something. She always said I moved as "slow as molasses at Christmas," and that I was born in low gear and never shifted into high, LOL. Of course I want to know how book ideas are born! Sounds interesting.Thanks for sharing! @Dana – Where do you think I got my love of mysteries? And of course a mystery usually involves violence of one kind or another, LOL. Mama loved Nero Wolfe, Agatha Christie and others…and I do, too. @Sheila – I hope it was interesting for you…I always enjoy reading how writers go about developing their stories. Thanks, Jacks…but, actually, you've written a lot of stories, way more than I have.